On a pleasant early May evening the Texas Hill Country, I'd set about to photograph the brilliant colors that were popping up everywhere. I found this Texas Wildflower image near Llano. I had hoped for a nice sunset with amazing clouds, but instead I was presented with clear skies and a setting moon. 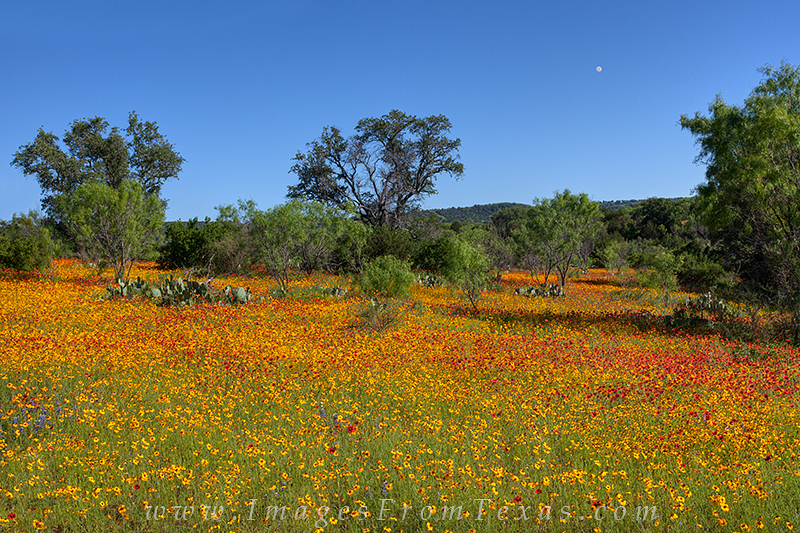 I did enjoy this field of reds and golds, and it even had a few bluebonnets sprinkled here and there. Photo © copyright by Rob Greebon.